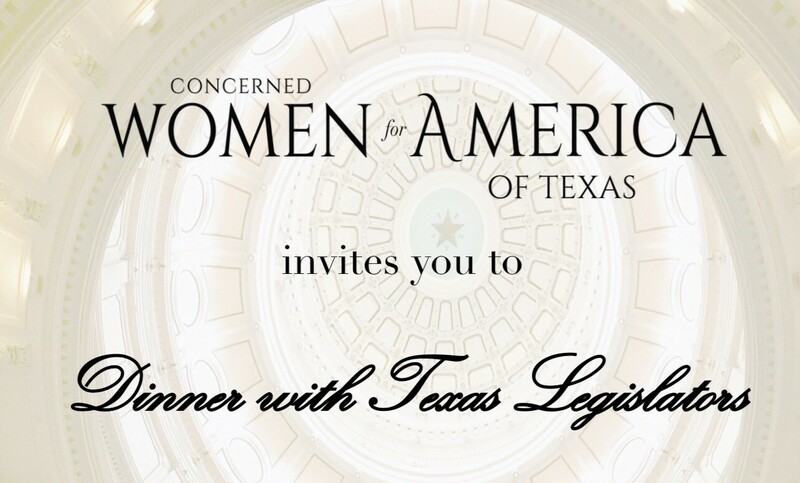 Please join us for this once a session opportunity to enjoy dinner with and hear directly from several Texas legislators about their hopes and plans for this current session. They will address issues of faith and family. Also, hear Dr. Shea Garrison, Vice President for International Affairs, for Concerned Women for America, talk about the issues in today’s culture. Tuesday, March 12, at 7:00 p.m.
To register call 972-658-4204 or email us.